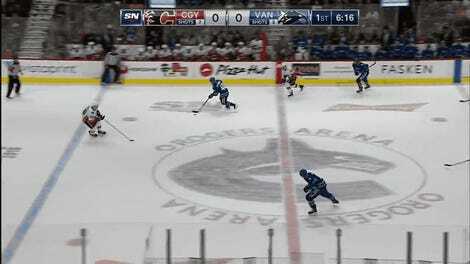 The hottest teen in the NHL is currently playing for the Vancouver Canucks, and his name is Elias Pettersson. The 19-year-old undersized center out of Sweden is absolutely crushing it at the start of his rookie year in the NHL, and tonight against the Red Wings, he opened the scoring with a murderous slap shot past Jimmy Howard. In his 10th career NHL game, it was his 10th career goal. 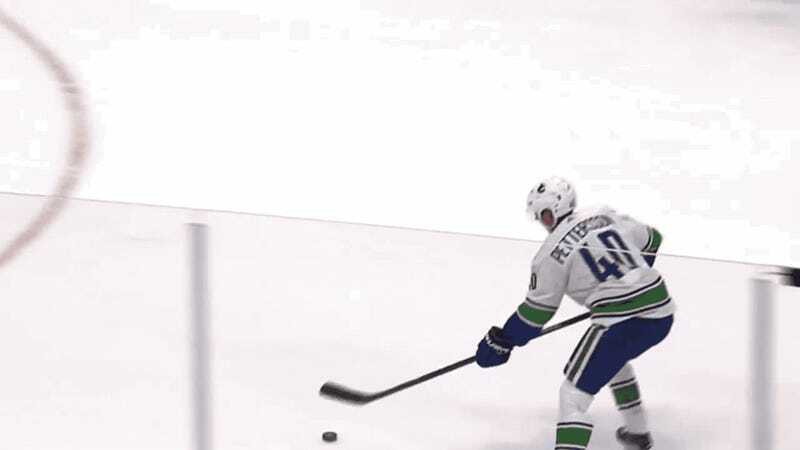 Awesome plays are rapidly becoming the norm every time Pettersson hits the ice. 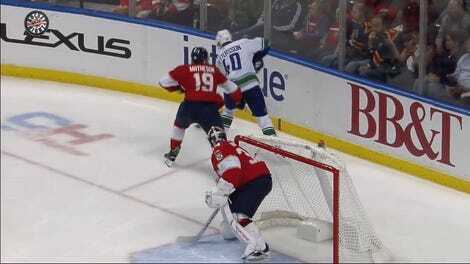 He had a cool-as-hell assist to fellow Canuck wonderkid Brock Boeser in his team’s last game, and just a few days before that, he got the second part of a brace against the Wild by blocking a shot and then burying a nasty wrister on a breakaway. He’s doing all this despite already facing a rough setback this season, when he missed a couple weeks by being on the receiving end of a nasty chokeslam from Mike Matheson. But not even a concussion can slow down Pettersson, and the 9-6-0 Canucks have suddenly asserted themselves as a team you need to watch in what actually could be a pretty wide-open Pacific Division. You can’t say you didn’t see it coming.